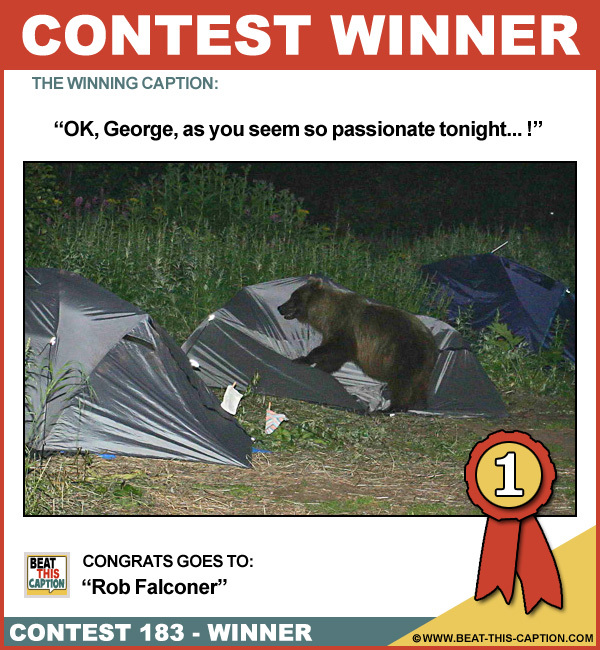 Beat This Caption Contest 183 Winner – Caption Contest Funny Clever Witty Enter Today! OK, George, as you seem so passionate tonight…! Pull down your pants and show me your bare behind… :) Great Caption! :) You WIN! The whole bear situation is just two tents, for me! The only thing worse than an unexpected visit from your mother-in-law! I do not sound like an old bear, Loretta! Nothing like a midnight snack!